Simple yet rugged, Austins rustic style brings a new level of charm and appeal to any space, whether in the city or country. 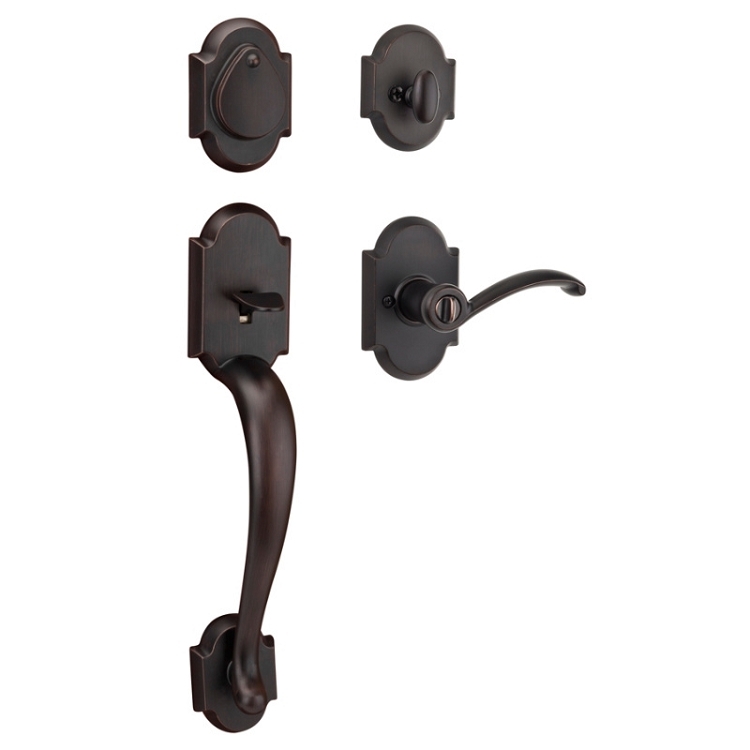 The Austin family includes a handleset, lever and deadbolt with decorative swing cover. Warm and inviting, yet traditional in its simplicity, Austin embraces the aesthetic of modern transitional dcor. 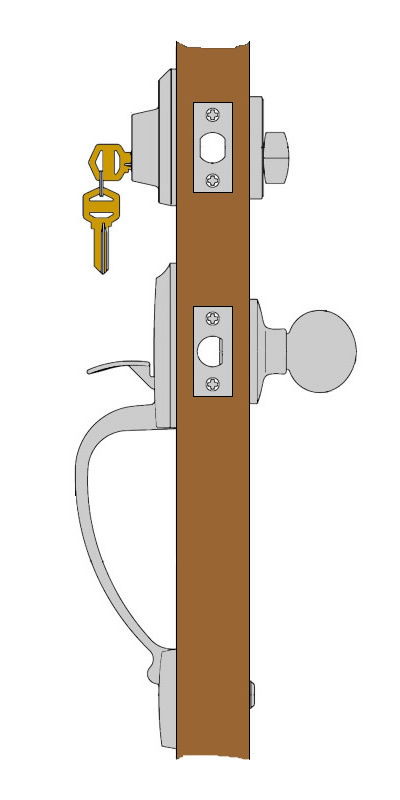 Single Cylinder Entry Set. 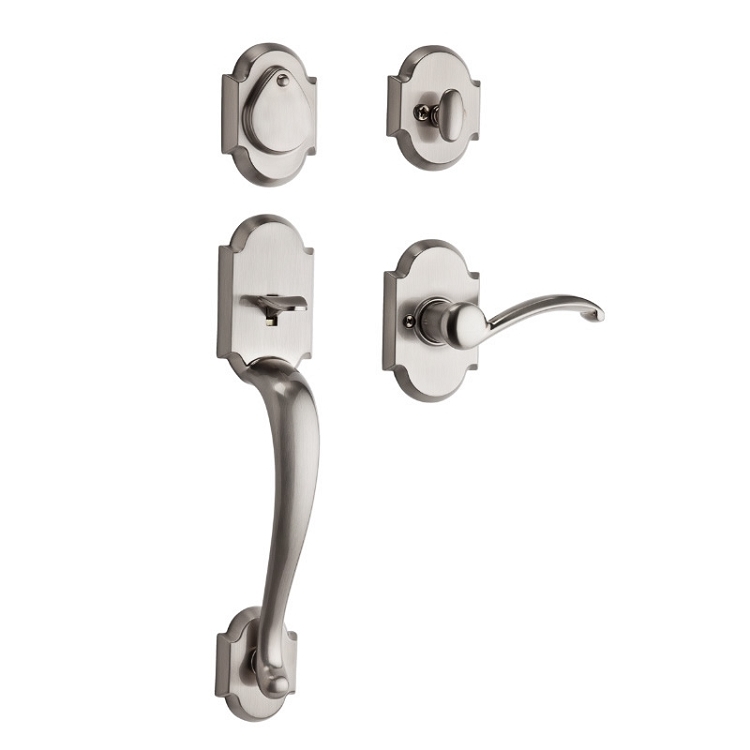 Kwikset single cylinder handleset is the most common function for entry doors. This set is locked or unlocked from the inside with a thumbturn. Locked or unlocked from the outside with a key. Double Cylinder Entry Set. 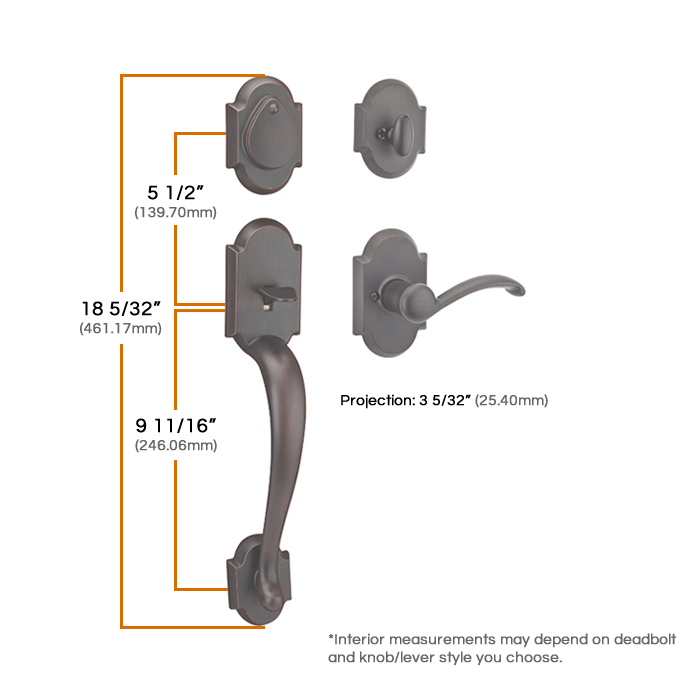 Kwikset double cylinder handleset is locked or unlocked with a key from outside and from the inside. Some people use this type of lock for a glass door. 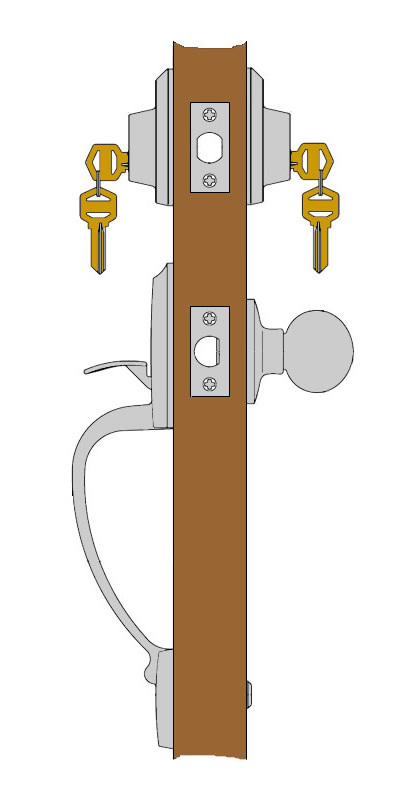 *Many municipalities will not accept this type of lock for residences because you need to use a key to exit the house which can be a problem in an emergency. Dummy Entry Set. 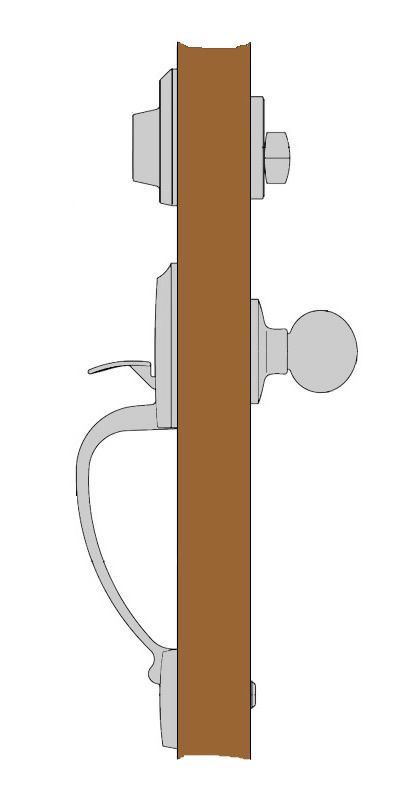 The dummy function is a non-working trim made to match the entry set. You would use a dummy set on the inactive side of a double door. This set is decorative only and does not include any working parts. I love my front door hardware. It's beautiful and works like a dream. We chose this set because of it's beautiful lines and high quality of appearance. It did not disappoint and was as expected when it arrived. Love the handle appearance. Works flawless. 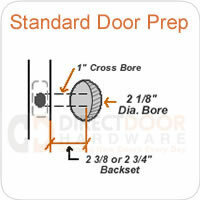 The guys at Direct Door Hardware have been unbelievable to work with. Highly recommend.